The first Ichthus festival was staged in 1970 in Wilmore as an alternative to Woodstock. Ichthus was held annually for decades in the central Kentucky community. Financial problems led to its end in 2012, but Creation, which runs two large festivals in Pennsylvania and Washington, took over production of Ichthus in 2013. Park Deputy Executive Director Darren Ripley says the festival is one of four events at the Horse Park this week. "Most of the logistics and the planning have occurred around how we do this dance with traffic and getting people in and out safely as well as a timely and expeditious manner," said Ripley. Park Special Events Director Nicole Rivera says the festival crowds are expected to be in the thousands. "That's a bit of a moving target,” said Rivera. “We know what they have sold so far, but we feel that the day traffic is going to be the unknown. A lot of that will be determined by the weather, but I believe that they are expecting around 5,000 each day, so that's what we're planning on." 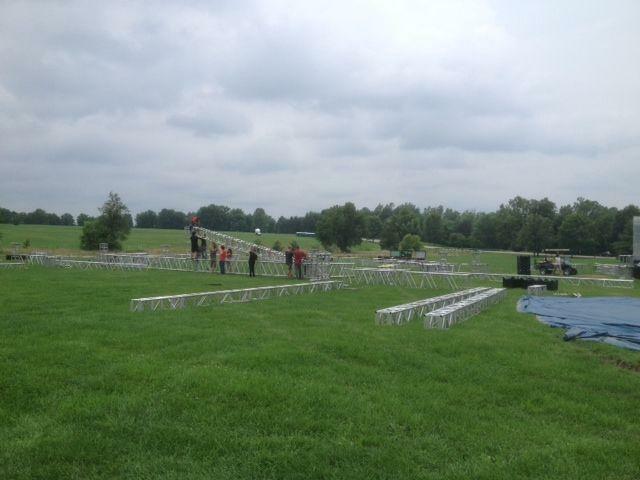 The music for the inaugural Ichthus at the Kentucky Horse Park begins Wednesday. Among the headliners for the festival are Newsboys, Red, and Matthew West.